A brand of spandex, Lycra is a synthetic fiber with exceptional elasticity. Stronger and more durable than rubber, it is often blended with natural and synthetic fibers to provide stretch and recovery. Handwashing is the best and safest method for washing swimwear and intimates. Add 2 capfuls or a squirt of Sport Detergent to a washbasin or sink filled with cool water. For intimates, use Delicate Wash. Select the delicate cycle and use cool water. Add the appropriate amount of Sport Wash or Delicate Wash according to the machine and load size. Always air-dry activewear and swimwear. The high heat of the dryer will reduce the fabric’s elasticity and moisture-wicking properties. Spritz with Sport Spray to remove odors and freshen everything from sneakers, gym bags, and lockers to yoga mats and sports equipment. For intimates, use Delicate Spray. 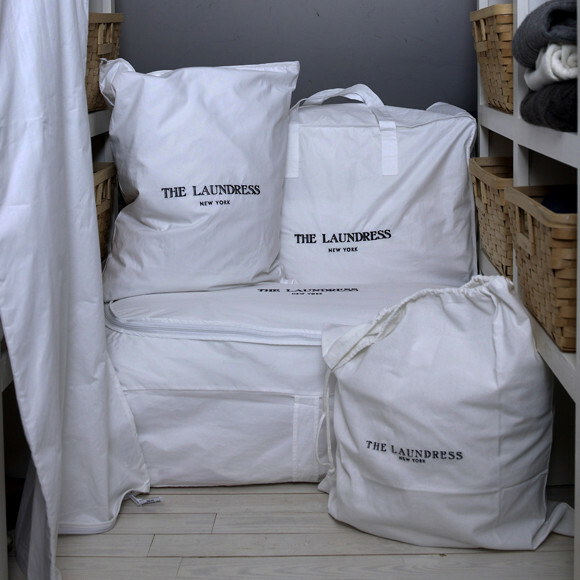 Use the Hotel Laundry Bag to keep intimates and sweaty workout gear separate from the clean, dry items in your bag.